There comes a time in life where you need to make a decision on your own and stand by it. During our childhood days, we tend to have these crushes on people older than us that fade as we grow up. We never act upon them but they remain as memories that we always cherish. But what happens when two adults with such an age difference fall in love? 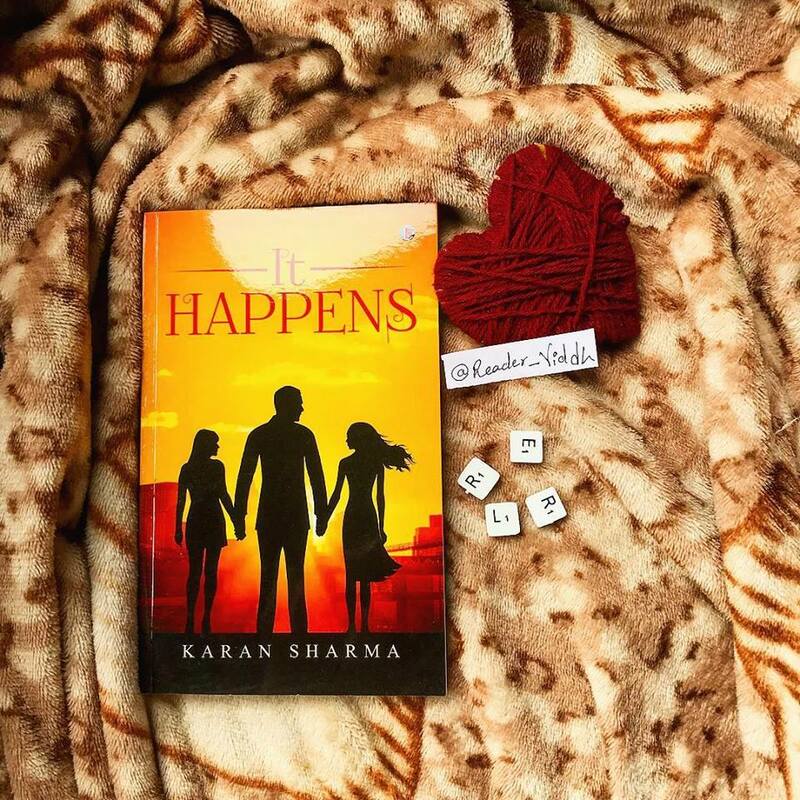 It Happens is a story about how Gautam, a twenty-five-year-old upcoming professional and Roshni, an unmarried thirty-seven-year-old senior management member working in the same multinational bank, face this very question. Can two people with such a vast age difference be compatible? The story is a romantic comedy that explores this situation in a light-hearted way as they fall in love, get laughed at by their friends and then develop cold feet, thinking about the repercussions their age difference could have on their marriage. Since this happens in India, where marriage is a major social issue, the plot holds further intrigue. They say love is blind and makes one think with the heart, rather than the mind. Will two smart professionals make a mistake by doing so? Or will they listen to their logical senses at the last moment to avert what may be the biggest blunder of their lives? You cannot marry a girl older than you. This is what we always hear from our grandparents. The author has chosen a very different topic for his readers. The story about Roshni who is thirty-seven years old and Gautam who is twenty-five years old falls in love. Will their love find a way? will this age gap dissolve their relationship? will they make a right decision? The author has plotted the story very well and on a different topic. It’s simple yet engaging. One can easily connect to the story. The characters that the author portrayed were strong. Richa’s and Rohit’s character played an important role here. Rohit like a best friend wanted his friend to be sure while Richa wanted his brother to take the right decision.Will Gautam succeed coming out of emotional turmoil? There were many questions on my mind while reading. The story makes you quite curious to know what will happen next? The pace of the story is good. The tempo of the story is interesting full if twists and turns. I loved the end, it was totally unexpected. Though the author can make this plot more fascinating but I loved how it was kept decent, simple and attractive. Use of simple language made the reader connect very well with the story. Overall, Its a good read with some twists and turns. A simple, witty love story. If you are romance fan, go for it.